The Internet was born 25 years ago it started out as a way for physicists at Stanford University and the University of Southern California to be able to pass research documents back-and-forth from one another. When the Internet was first built the two colleges sharing research trusted one another the issue of a breach was simply not an issue at all. Today we use the Internet for banking, purchases and all sorts of things but the Internet was never designed for that. The privacy that people expect is not actually there. Internet security is a major issue with banking and purchases being done online. Many people believe that the Internet is safe but the facts don’t support that thinking. The Internet has hackers roaming around trying to find one way after another to steal information gain access to information sometimes just for fun but often times to steal government documents or to steal credit card numbers and identities. Identity theft is big business for criminals. Now there’s a new threat. Internet security specialists are sending up red flags about Bash Bug. Bash Bug is the latest threat from hackers and it is allowing Internet thieves to get into your computers and smart phones and other devices through smart light bulbs, it’s a serious flaw. Bash Bug targets computers and devices that use the Linux operating system. Internet security companies are calling Bash Bug potentially catastrophic. There are ways to protect yourself, one of the best ways is to shut off your Bluetooth and WI-Fi when you’re not using the devices. They don’t need to be on 24 seven. Changing passwords at least once a year is a good idea. Use longer and more complex passwords is always a good plan. The passwords on your bank and credit card accounts should be changed frequently. The public needs to be diligent about their own security, and pay attention to their bank accounts credit cards and over-all identities. Gas Prices Going Down In Time For Christmas!! Americans could see gas prices drop by as much as .30 cents a gallon between now and December. The US demand for oil is easing off, that in combination with oil production rising all over the world are behind the expected drop in prices at the pump. Welcome news for American consumers, and just in time to help cut some cost during the big holiday travel times. Gas prices are expected to drop to the lowest levels since 2010. Other factors in the drop are a strong US Dollar, and this year’s largest corn crop in American history. Corn is the key ingredient in ethanol that is mixed with gasoline and then sold in the United States. The largest ever corn crop along with big grain harvests have lead to the decline in food prices around the world. Food prices now at the lowest level in four years. The August 2014 numbers are out, and while home sales were up, home prices rose at an abysmal 6.7% over August 2013 numbers. Thats the slowest rate in price growth since November 2012. It’s not all doom and gloom. Even with the slow rate price increase, the numbers are still at least twice the rate of inflation. Looking at the big picture, home values are at 2004 levels according to the S&P. “Inventory is not at optimum levels, selection is not we would like to see in some markets. But with interest rates still being low, it’s much better to own than rent” This according to real-estate expert Marge Bish of Buyers Advantage Group Realty in Raleigh NC. A bright light in home values is Las Vegas. The Las Vegas real-estate market was crippled during the recession. Prices rose a healthy 12.8% over last year. 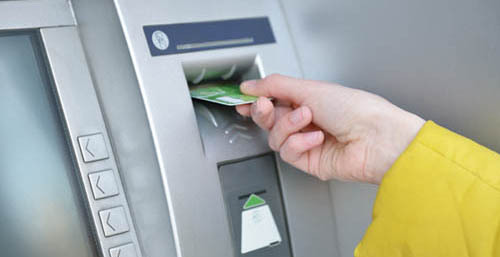 Overdraft & ATM Fee’s Hit Record High! BankRate.com reported today that Overdraft fees are up to a whopping average $32.74. That’s the16th consecutive record high. ATM fees are up to a record high of $4.35 per transaction. Good news for consumers is that there are lots of banks offering “no fee” checking accounts. Even accounts that have service fees saw a drop in those fees of 5%. 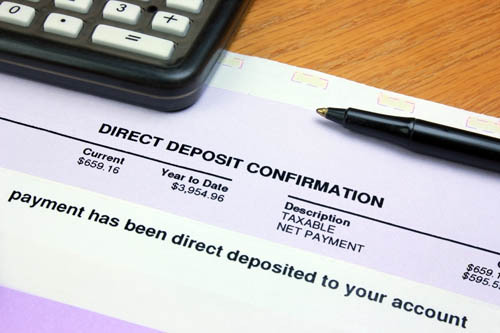 Many banks will waive fees on checking accounts if “direct deposit” of paycheck set up. Check with your bank to see what options are available to you. Dow Jones taking another hit today, down as much as 170 points. News out of Hong Kong about pro democracy protests are making many investors nervous. Police in Hong Kong are cracking down on protesters, using tear gas and pepper spray. Police calling the protests “illegal” and threatening the use of greater force. Investors are nervous over fears that China will limit reforms in Hong Kong, the epicenter of the asian financial markets. China took control of Hong Kong in 1997 after a 99 year lease of the territory expired. In 1898 China signed The Convention for the Extension of Hong Kong Territory that gave the UK control of the island. Hong Kong has a population of nearly 1.3 million people. After Thursdays scary Wall Street numbers, the Dow Jones is up about 70 points. Welcome news for investors. 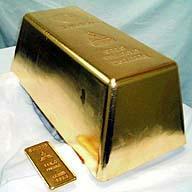 The rally was spurred on by the revised GNP ( Gross National Product) Numbers released today. The GNP was up 4.6%, the fastest growth in 2 ½ years. US BANK based in Minneapolis Minnesota must pay $48 million to more than 400,000 customers who paid for and in some cases did not receive “Privacy Guard” an identity protection and credit monitoring service, this according to a federal regulator at the CFPB. The Consumer Financial Protection Bureau (CFPB) alleged the “over-charges” happened between 2003-2012. US BANK offered “Privacy Guard” and “Identity Secure” to their credit card and account holders. US BANK used a third-party vendor “Affinion” to administer “Privacy Guard” and “Identity Secure” As part of their policy, US BANK required written authorization from customers before the services could begin. The problem stems from Affinion, the “third party vendor” apparently not always processing authorizations properly. The CFPB claims that customers were billed as soon as they enrolled. The long and short of it is that some customers were charged for services they never received. In some cases believing their credit report was being monitored when it was not because the authorization was never received or processed properly. In the worst cases, charges for the services caused some customers to go over the credit limit on their credit card account, in turn leading to “over-limit fees. In addition to the $48 Million to consumers, US BANK must pay $11 million in penalties to the Consumer Financial Protection Bureau & the U.S. Office of the Comptroller of the Currency. Homes sales surged in August!!!!! The Census Bureau reported Wednesday that August 2014 Home sales reached a total of 504,000. That number is way past the forecast of most economists and is great news for the economy. The 504K total is a sharp increase over last years August numbers, beating the 2013 sales by a whopping 33%! According to HSBC Securities Ryan Wang “The housing market is stable”, welcome news for an industry that has been struggling to rebound since the recession. Housing starts were down in August from July’s numbers, but July was the highest number of housing starts since 2007. The jump in sales will likely prompt new home builders to pick up the pace to meet demand.